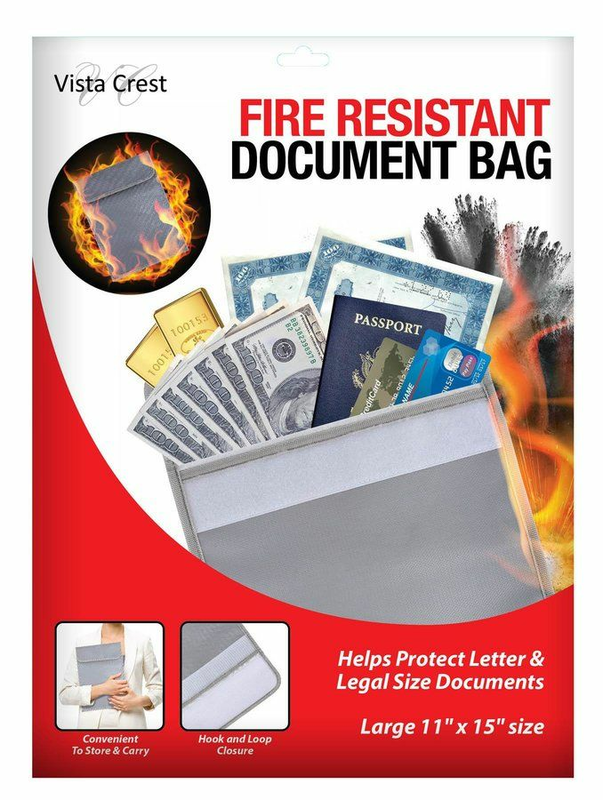 Protect your important documents from fire with this fire-resistant bag. 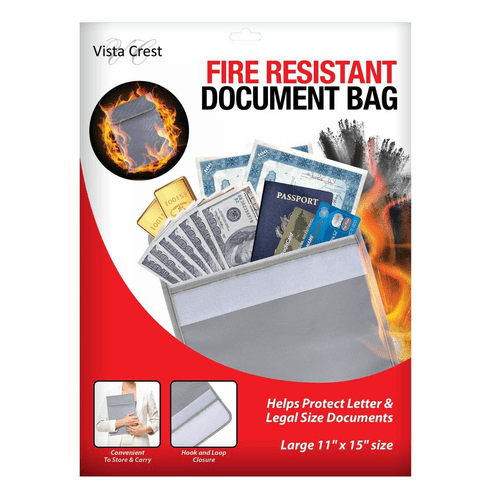 Made from high quality silicone coated fiberglass, it protects contents up to 1,000 degrees Fahrenheit. 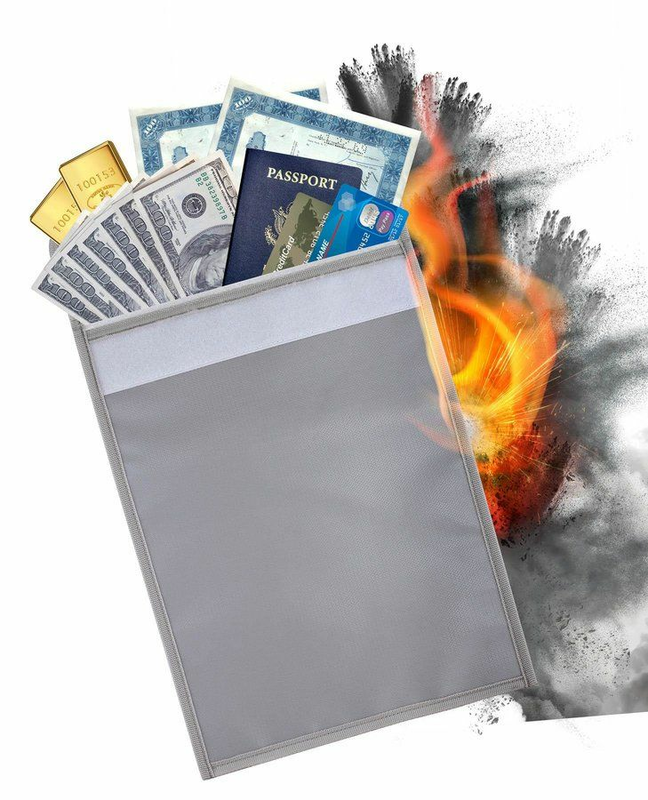 Helps protect passports, birth certificates, photos, cash, letter and legal size documents. Weight	0.8 pounds. 11" x 0" x 15". Fiberglass. 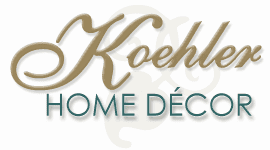 UPC Number: 841437119794.